As part of a series I did some years ago when I was Director of Tudor Bompa Institute I did this lesson on why it was important to “monitor” your spread sheets and result graphs form your training program. I saw it today and thought it was worth publishing alone. Are there secrets here, yes. But….don’t bother if you are too lazy to perform the work to get to this point. It is not easy. Many People are still subscribing to my old You Tube page. This is the newest one. The “Core” (Abs and Lower Back) making up approximately 1/3 of the body, we all know that. What we have missed in strength is training the abdominals of the core like any other body part . Why do we strength train ever other body part with heavy weights and NOT the abs? Are the muscles made up of some different fiber type? Do sports not really use the abdominals of the body to promote power like other muscle groups? Maybe we have been doing them wrong all these years. The Ab Mat changed all that. These are the question that hopefully will stay with you and give you some “food for thought” with this article and videos. I what the videos of Muscle and Motion all the time. As i have said before they are the best in animation in training I have ever seen. BUT, do the know that many of their materal may be old…as I would say. Here is a great video on “chest” BUT when you start doing upper and ower chest with a bar you reduce the range of motion and the arms tire out first. So I developed my version of cables that I feel just work upper and lower directly. You decide. Damn, I have been looking where to buy this ab bench for a long time. Finally one of the readers sent me a link. I had alot to due to the design and use way back in the Ironman days. SO, I find the link to buy it and go to the You tube videos on how to use it. Guess what ? All the videos are wrong. The users do not know how to use it. Check out the wrong way here. Then I give you the right way. They don’t get the full stretch, thus not working the abs through a full range of motion. This bench is well worth the money. Just incase you don’t have an ab bench or can’t find one, try this . Check Out the rest of the ways to use it on my Yout Tube page. It is so amazing to me that people just don’t understand in 2017 how the abs acually work. 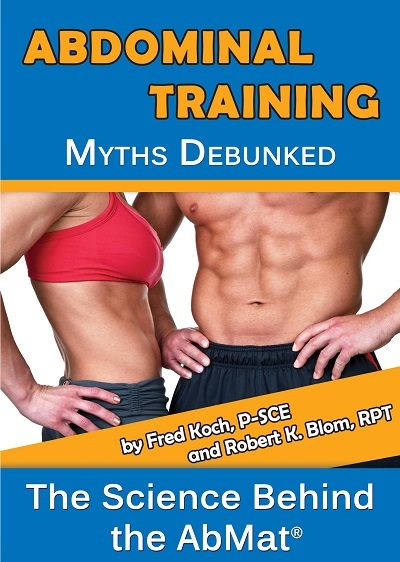 Any questions..fred@fredkoch.com or see Fred Koch Training on Facebook. I recieved a question from a reader the other day about where to find the rounded back ab bench I pushed so hard man years ago and still use here. You know, it just goes to show how far behind the fitness industry still is when it comes to new thinking. Check out this video and then you tell me what’s the deal? And no I don’t know where to find one ,so please tell us if you do. In our gym here in Norway, the Bear Cave I had to have the machine cusotm designed. It is so well worth it no matter what it takes. Fred Koch Training is a place where I can rant in shorter time.